12 Station Dial Index Chamfering Machine with auto part ejection | Hypneumat, Inc. Shown is a 12 Station Dial Index Chamfering Machine built by Hypneumat, Inc. This machine chamfers 6 holes on 2 parts at one time and automatically ejects completed parts into a bin after each cycle. 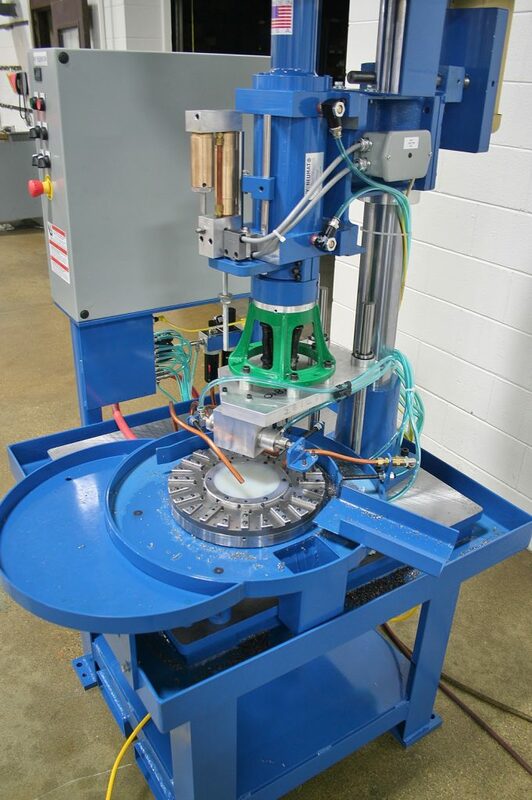 This 6 spindle Commander 500 Series multi head is powered by a Hypneumat DQ46EHB auto feed unit. Machine output capability exceeds 1,000 parts per hour.